A fun aspect of The Trust Family Foundation Shark and Ray Touch Tank is that, just like in the wild, there are several animals in the exhibit that require some extra effort to see, so you really never know what you'll encounter on any given visit. The ever-sociable cownose rays are pretty difficult to miss, but some other animals, like the yellow stingrays, can be trickier to spot. 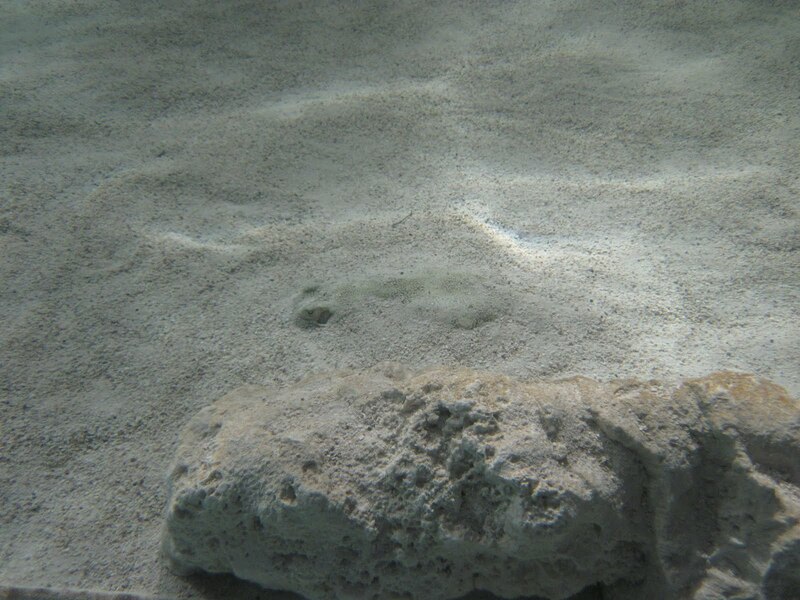 Can you find the yellow stingray in the picture above? Below is a stingray that is feeling less camera-shy. Unlike the free-swimming cownose rays, yellow stingrays are bottom-dwelling rays who stick close to the ocean floor. They use their fins to dig in the substrate, which is helpful both for digging up buried food and for burying themselves to hide from their own predators. Watch a yellow stingray in action! This video was recorded was during a SEA TURTLE expedition to the Bahamas. (Learn more about SEA TURTLE here!) 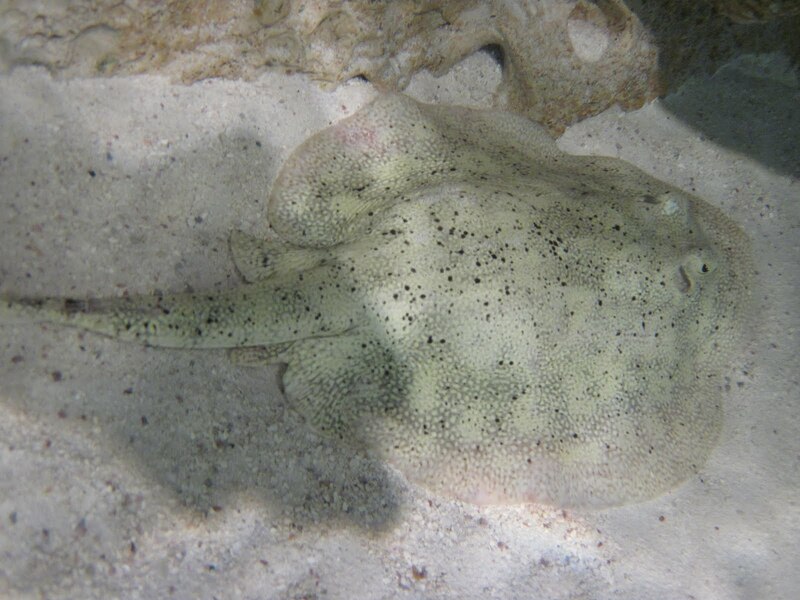 And check out the picture of yellow stingrays taken by an Aquarium diver in the Bahamas here. Yellow stingrays can even change their colors to help themselves blend in more effectively with their surroundings, so they might be yellow one minute and brownish the next. Next time you visit the touch tank, keep your eyes near the bottom to see if you can spot one of these camouflage experts. And remember, you might even find something that you weren't looking for.